Looking for “just a trim” or wanting a completely new look? 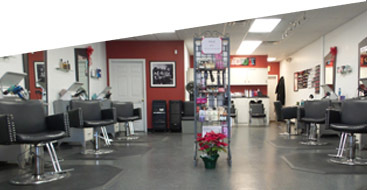 Our friendly, professional team at Upper Cut Hair Design will work hard with you to get the look you want. Women can get the beautiful, stunning haircuts you are looking for with lots of volume and texture. Men’s cuts with strong lines for a new fresh look. So not only will you look great but feel great too! Set up an appointment today with one of our talented stylists. How your hair is truly an expression of you. Can’t get the results you are looking for? Our dedicated team of talented professionals can help you find the perfect color that makes you look amazing. Let us ignite your color with a Radiant red or take the Boring out of Brunette with a Chocolatey, natural hue. Maybe you want to get inspired by a dramatic blonde that will brighten up your day. Call us today to add some color to your life with our quality, professional hair color. Men’s Gray Blending – Don’t want to go gray? Want to look 10 years younger in 10 minutes? 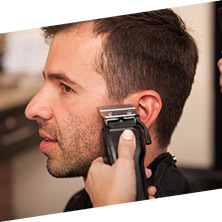 Try a Men’s Gray Blending service today. We can add a little more pepper to your slowly salting hair. When you add a little depth to your gray hair it adds more color to your skin tones for a younger look.